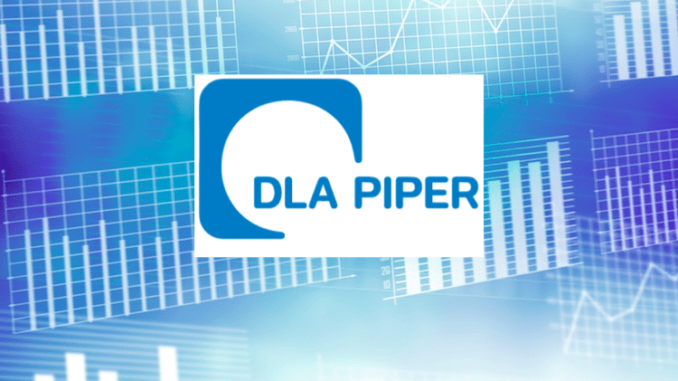 Global law firm DLA Piper is only using ‘about 1%’ of the overall potential for legal AI technology such as Kira Systems and could use it much more, the firm’s Director of Innovation, Adam Hembury, has said. The fascinating comment, which most likely reflects a situation experienced by many other law firms, came as part of a talk on innovation. He explained that the challenge was not that the tech wasn’t useful – it is – the challenge is that especially in a large, international law firm, getting the message out and partners and practice groups to make regular use of AI solutions, especially where training was needed for the NLP, was a challenge. While this could be seen as a negative, perhaps we can also see this as a great positive, i.e. AI tech just for the one use case of doc review (and there are many others – see the AL 100) has 99% more space to grow inside law firms. I.e. although AI systems are now ‘through the door’ and have proven their value, what is needed now is a significant ‘capacity building’ programme inside law firms to ensure uptake across the partnership. DLA Piper, Director of Innovation, Adam Hembury, at the Legal AI Forum. 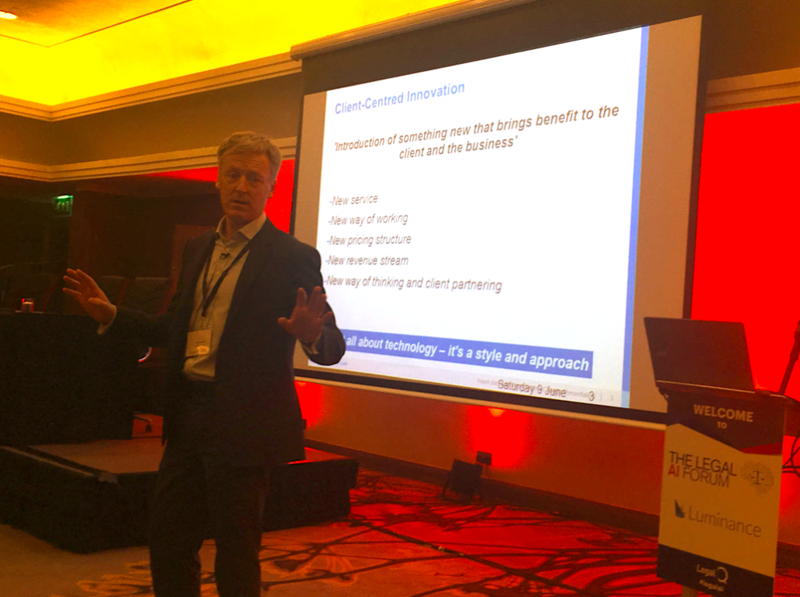 The challenge there of course is that the IT and innovation teams of most law firms are not necessarily designed or staffed to conduct a huge internal education and adoption programme. The experiences of fellow global law firm, White & Case, were also revealing in terms of the need for internal communication and support for implementation of AI systems and other new tech. 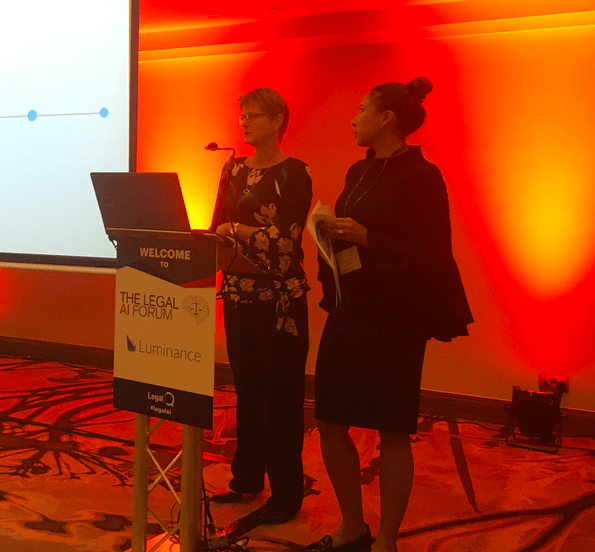 On the previous day of the Legal AI Forum event Alicia Hardy, Director of Professional Support, and Monet Fauntleroy, Senior Practice Innovation Manager, at the firm, noted that in a business with literally dozens of offices globally getting uptake of new tech was a challenge. Fauntleroy explained that although the team she was part of focused on innovation and could do a lot of good, the roll out across the rest of the firm of a particular solution then became an operational task. ‘[The innovation team] births the baby, the other folks [operational teams] will raise the baby,’ she explained by way of analogy. But, not all law firms have the operations resources to make such a roll-out of new tech complete, especially where supervised machine learning would be a key component of getting lawyers to use it for billable work. She added that trying to provide ‘one firm solutions’ was especially tricky. This was all the more challenging when one considers that a firm like White & Case may need to use an AI doc review system in multiple jurisdictions, multiple languages, for multiple types of document and use case, all at the same time. Clearly there is a training demand for all of this, which in turn means partner-backing in each practice, in each office, not only to use the tech – which can disrupt their billing patterns – but also to make sure associates are engaged with some of the training. As noted, Artificial Lawyer has to see these challenges as a positive. One might say the hype wave of the last couple of years has propelled AI systems into law firms, the really exciting part is now only really beginning and that is firms implementing such tech at a major scale across the business. Once use in each firm has really scaled up, in turn this will produce far greater growth in the AI companies, given that it will generate far greater revenues for them. In short, if legal AI companies are today receiving tens of millions of dollars in investment and seeing rapid growth in revenues and headcount and at are at just 1% penetration/use level in many large law firms, imagine where they will be once that level hits 10%, or 20%…. ?